Anaerobic ammonium oxidation (anammox) has been implemented as a cost-effective nitrogen removal process in wastewater treatment. To apply the process to saline wastewater treatment at temperatures below 30 °C, the effectiveness of marine anammox bacteria has been demonstrated in a pilot-scale reactor. Nevertheless, mesophilic conditions, often found in underground brine containing high NH4+ concentrations, have yet to employ an anammox process. The objective of this study was to enrich anammox bacteria capable of removing nitrogen from underground brine possessing a salinity of 3% and at a temperature over 30 °C. To select a promising inoculum, biomass from a brine settling tank in a natural gas plant was subjected to quantifying transcripts of anammox 16S rRNA and hydrazine oxidoreductase (hzo) genes by quantitative reverse transcription polymerase chain reaction. A fixed-bed column anammox reactor was fed with the selected inoculum and operated feeding underground brine mixed with NaNO2 solution at a temperature of 38 °C. As a result, a nitrogen removal rate (NRR) of 1.42 kg-N/m3/day was obtained on day 167. An average NRR of 1.21 kg-N/m3/day and nitrogen removal efficiency of 88% were maintained for 50 days. Amplicon sequencing based on the 16S rRNA revealed that anammox bacteria which are phylogenetically close to Candidatus Kuenenia were successfully enriched in the reactor. These results indicate that nonmarine anammox bacteria can be active and predominant under both high-salinity and mesophilic conditions, making it a likely candidate for effective nitrogen removal from underground and waste brine. The online version of this article ( https://doi.org/10.1007/s10098-019-01688-y) contains supplementary material, which is available to authorized users. This study was partially funded by the Japanese Society for the Promotion of Science (Grant 17H01893). 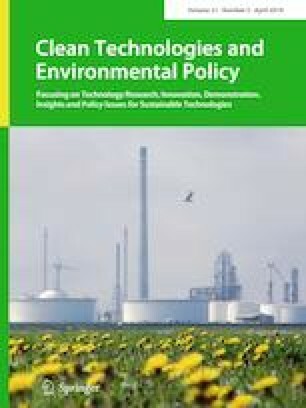 The authors also thank Professor Barth F. Smets (Technical University of Denmark) and Emeritus Professor Kenji Furukawa (Kumamoto University) for valuable comments.